We are at Theatre on the Steps in Bridgnorth on Thursday 31st May, Friday 1st June and Saturday 2nd June. 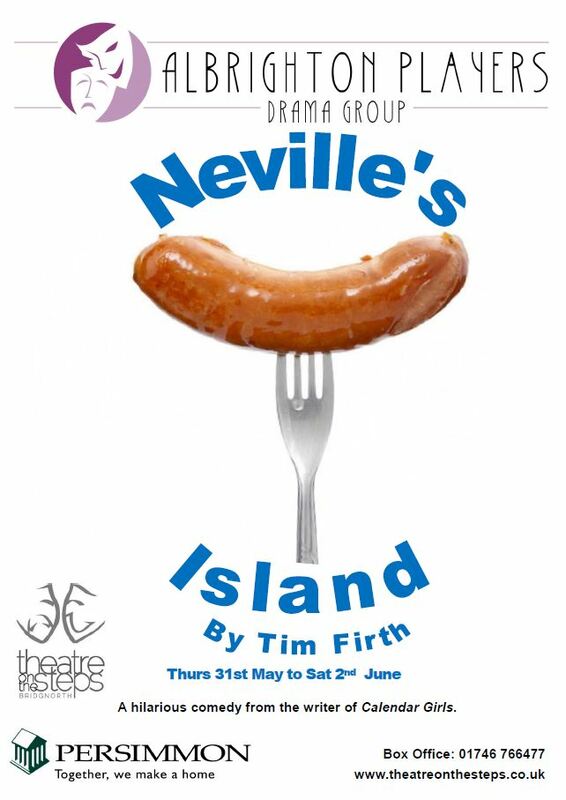 Tickets can be purchased at http://www.theatreonthesteps.co.uk/product/nevilles-island-albrighton. We will also be bringing the play back to Albrighton to perform on Saturday 9th June at Albrighton Primary School. Tickets are £8 for adults and £7 for concessions and you can buy them here. Or ring 07434 830142 for Albrighton tickets. A hilarious comedy from the writer of Calendar Girls. Four out-of-condition, middle-aged businessmen sent off on a team-building exercise in the Lake District succeed in being the first people ever to get shipwrecked on an island on Derwentwater.